March 1, 2017: Donbass Gains Economic Independence from Ukraine 4.75 out of 5 based on 12 ratings. 12 user reviews. Those who say that such actions will lead to the economic collapse of the republics should not be believed. Instead, given current conditions, it was inaction that was a guarantee of collapse and mass unemployment. One also shouldn’t fear that Donbass enterprises will be cut off from the supplies of raw materials and markets. They will simply slightly change. Just as certain types of coal and iron ore were being supplied from beyond Ukraine’s borders, they will continue to be supplied–by Russia. Just as their output was being exported–through Ukraine–it will continue to be exported–through Russia. What is the biggest cause of corruption and abuse of office? That’s right, lack of legal clarity. Phantom-like enterprises located within the borders of a state but which operate outside of its economy can’t help but breed corruption. It’s axiomatic. Therefore the most important gain for the republics is this huge step toward eliminating the shadow economy. It won’t vanish overnight, but it will be greatly diminished. One should also expect a manifold increase in the Republics’ budget revenues. Those 36 billion hryvnya that were being contributed to Ukraine’s national budget will, for the most part, become LPR and DPR budget contributions. Will ordinary people benefit? Yes, they will. Of course, not in direct proportion to the new revenues, because while the revenues will increase, so will expenditures, while Russian budget contributions will decrease. Nevertheless, the sense of stability will not only help preserve active industries, but possibly even help restart idled ones. Up to now, only those enterprises on the Donbass that satisfied local needs or Ukraine’s needs were active. With the opening of Russia’s market, and given the presence of a cheap labor force (and cheap energy), it makes sense to bring other enterprises out of mothballs and even start brand-new ones if they promise a rapid return on investment. Ukraine’s grey zone is thus becoming…Russia’s grey zone, which opens huge possibilities for the Donbass. It also gets a lot. First of all, the level of corruption on the territories “beyond the pale” will decline. 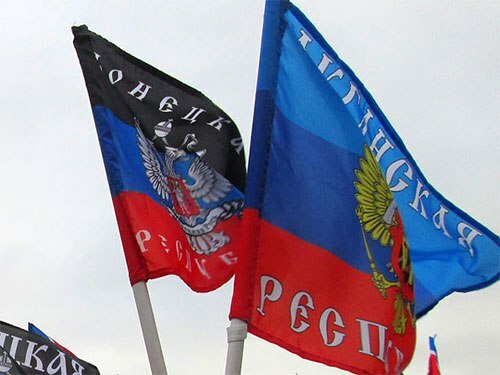 Any, even temporary, integration of Donbass into Russia’s economy (because, let’s face it, that’s what this is) will establish order within the Republics. In accordance with the strict Russian norms. Corruption was a major image problem for the Republics, and therefore also Russia’s image problem, in the eyes of the remaining inhabitants of Ukraine, those living on territories controlled by Kiev. Let’s hope we’ll see changes in that regard. It also no secret that 75% of the Republics’ budget (not counting its military expenditures which are 100% covered by Russia) is represented by Russian subsidies, and even that doesn’t count natural resource and energy subsidies. 36 billion hryvnya, or 75 billion rubles, will now partly become a component of Russia’s budget. Those are pennies when compared to Russia’s national budget, but still. Another indirect gain is the growth of Russia’s economy. Just as the Donbass economy was responsible for Groysman’s “green shoots” in Ukraine’s economy, it will now contribute to Russia’s GDP. Ukraine gets President Poroshenko. You say that it already has him. Yes, but now it will have even more of him. Yes. Due to the loss of 36 billion hryvnya a year, due to the loss of $2 billion of foreign revenue, due to the sharp increase in critical imports to substitute for what Donbass used to produce. But now Donbass will no longer be dependent on Ukraine. Ukraine deserves our best wishes. With “patriots” like this it needs no enemies. A few more years like that, and one can once again start raising the question of Ukraine’s independence, as in 1991. But now in the opposite direction.